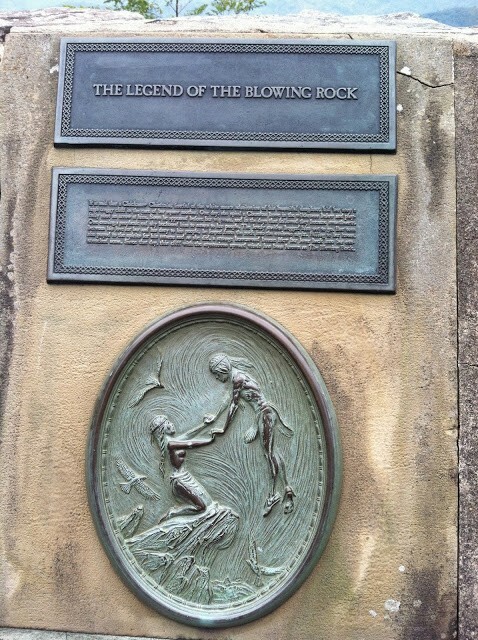 It is said that a Chickasaw chieftan, fearful of a white man’s admiration for his lovely daughter, journeyed far from the plains to bring her to The Blowing Rock and the care of a squaw mother. One day the maiden, daydreaming on the craggy cliff, spied a Cherokee brave wandering in the wilderness far below and playfully shot an arrow in his direction. The flirtation worked because soon he appeared before her wigwam, courted her with songs of his land, and they fell in love. 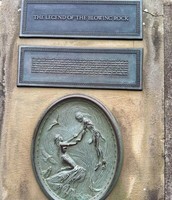 One day, a strange reddening of the sky brought the brave and the maiden to The Blowing Rock. To him it was a sign of trouble commanding his return to his tribe in the plains. With the maiden pleading not to leave her, the brave, torn by conflict of duty and heart, leaped from The Rock into the wilderness far below. The grief-stricken maiden prayed daily to the Great Spirit until one evening with a reddening sky, a gust of wind blew her love back onto The Rock and into her arms. From that day on, a perpetual wind has blown up onto The Rock from the valley below. For people of other days, at least, this was explanation enough for The Blowing Rock’s mysterious winds causing even the snow to fall upside down. 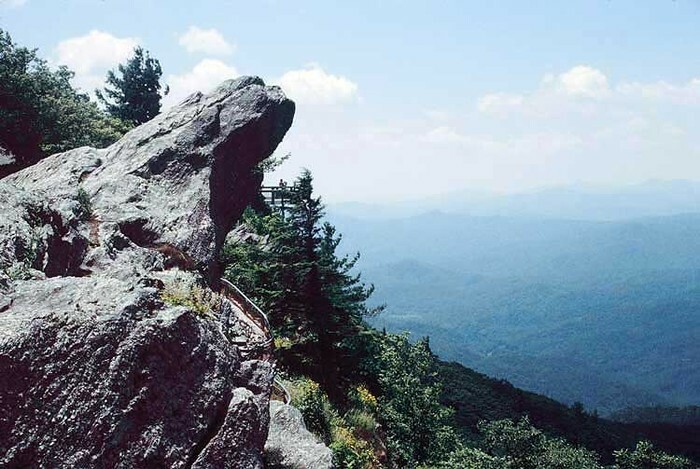 Blowing Rock has a rich history, including a rich heritage as a major travel destination in North Carolina.